US Highway 101 - traveling to and from Central California most often involves a drive on the 101, the main north-south route through the area. We'll look here at the sights and cities along the way. The scene above is not the California road trip we have in mind. 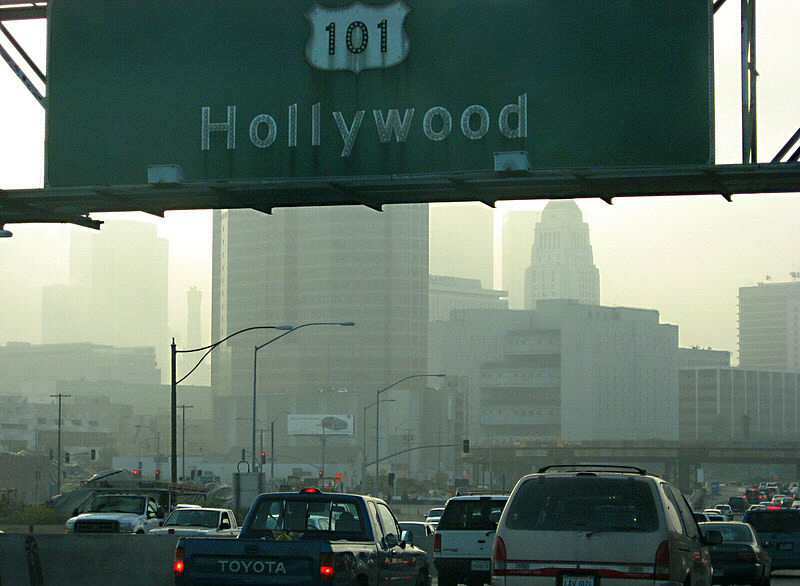 Commuting in LA is just plain torture, and painful to even think about. And while the road may have the same number, in Central California it's an entirely different experience. 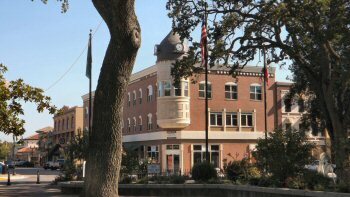 Here you'll find far less traffic, better air, and far more beautiful and natural surroundings. From either north or south there is a gradual change as the big cities and sprawling suburbs are left behind. The road will narrow to two lanes in either direction, but that's all that's needed. 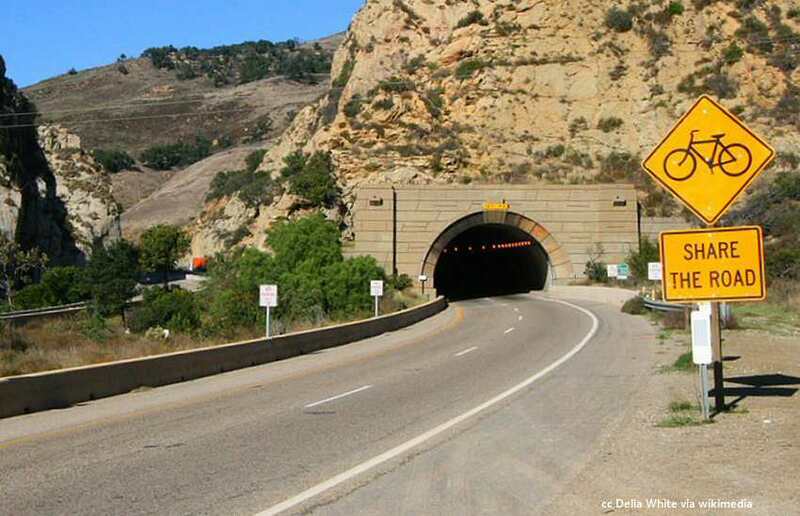 There is a dramatic and clearly defined entrance to Central California at its southern boundary - the Gaviota Pass. The tunnel shown here is really the northernmost end of southern California and the beginning of the Central part of the state. The Gaviota Pass is easy to find on the map above - it is where the 101 makes an abrupt turn to the north at the southern coast of Santa Barbara County. Most of the cities which aren't on the beach (more on beach cities here) are located on or very near to Highway 101 with a few exceptions. 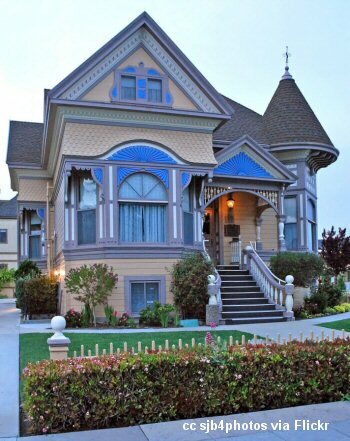 From this page you will be able to find out more about the inland cities and some of the notable natural or man-made attractions near the highway. The 101 does touch the coast briefly near Pismo Beach, but that's best covered here. 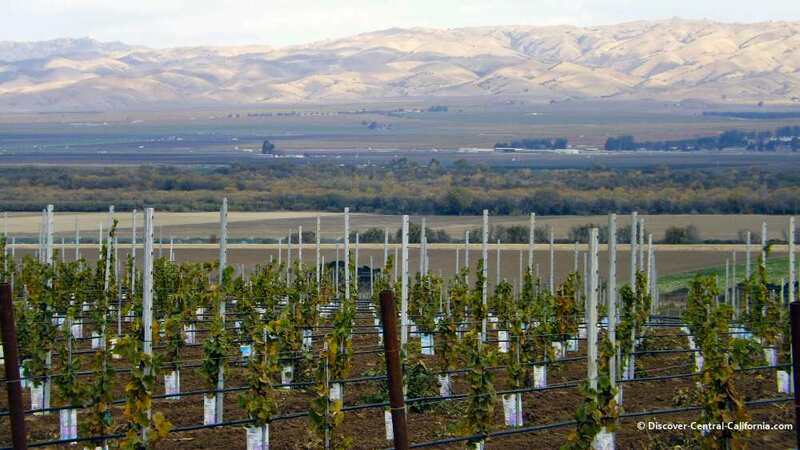 This photo actually shows all three of the themes: wine, row crop agriculture and the cattle country of the distant hills. This was taken on River Road which is a bit west of Highway 101 in the Salinas Valley. There are wine grapes in the foreground and this road has a number of wineries which are open for tasting. Further down is the 101 which is bordered with the rich land that produces so much lettuce, broccoli and other vegetables. Finally, as mentioned, the distant hills stretch east from this valley all the way to the great Central Valley. While there are fertile valleys found among them, the best use for this hilly terrain is cattle grazing. This road has been around in various forms for as long as people have inhabited the region. 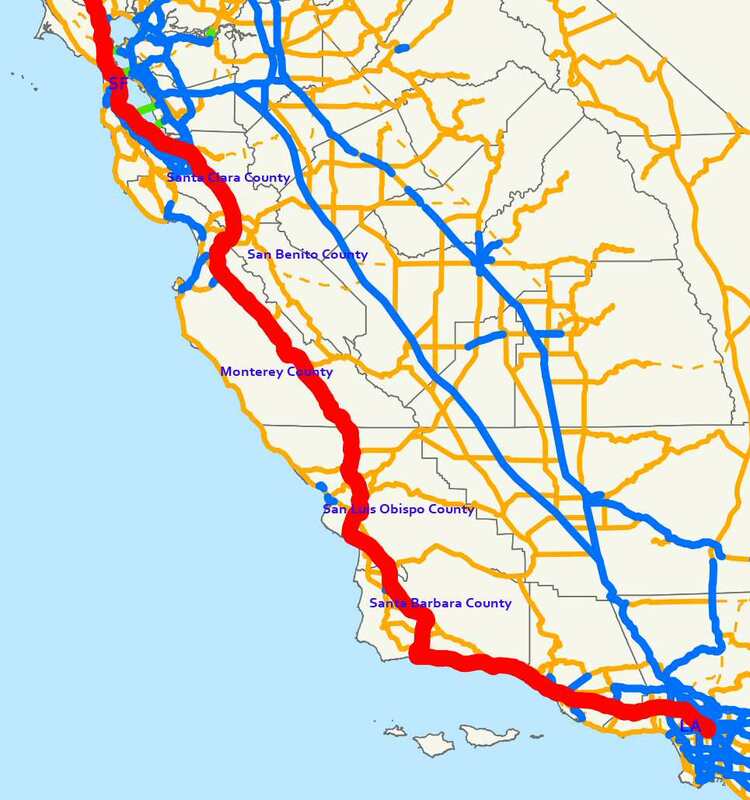 Highway 101 generally follows the route of the El Camino Real. Even in its paved form it has an interesting history. If you are interested in seeking out some of the old alignments of the highway from the last century, I would refer you to a most interesting site here (opens in new window) which covers places where you can see the old roadway and some of the old buildings which served motorists back then. One of the nice things about visiting these cities is that you can sample the fruits of the area. 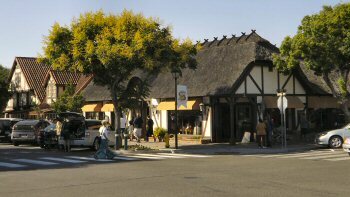 There are numerous places for wine tasting, with "downtown" tasting rooms in Lompoc, Solvang, Paso Robles and San Luis Obispo among others. The restaurants are increasingly turning to local suppliers for fruits, vegetables and meat. So the old adage of "getting a taste of the city" is very literally true here.